Q. What are the main benefits of retaining historic structures within schemes? AB. The beauty of working with historic buildings is that they give us identity and root us in our past. Historic buildings can be easily adapted to modern living, which is not only a sustainable way of building, but it means that architects have to work even harder to respect a building’s past and enhance its future. People want to see something of ‘character’ in their new projects. Naturally, this can translate into extra financial value by creating unique spaces. In design terms it also avoids the identikit stand-alone style of contemporary buildings that we find in so many cities around the world. 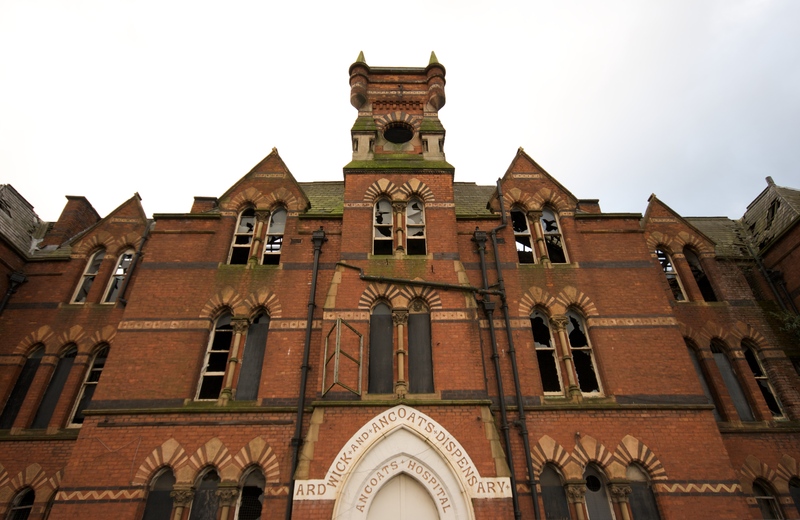 UK towns and cities have a rich history, culture and identity in their building stock; even when they look dilapidated they can be given a new life with the right client and use. Q. Are historic buildings a constraint and listed building consents restrictive or is there more flexibility than we think? AB. The Kings Cross Regeneration by Argent is a prime example of where the historic setting has been retained and the area transformed with quality contemporary buildings designed by well-regarded architects integrated with the existing listed buildings. The masterplan took account of the strong historic setting through featuring the canal and reusing the Listed Granary buildings and stores for modern day living. The Kings Cross gasholders show the history of the structure being reborn to a new use in a clever and sustainable way. Listing of buildings can also provide safety to the project so that meantime new uses and regeneration can take place. We worked on the Grade II listed Clapton Portico which was on Historic England’s ‘Buildings at risk register’. It was a wonderful challenge for us to come up with ideas for new uses for this historic building to save it from sure demolition. The solution needed to be contemporary within the historic setting. It was all about scale and finding a way to integrate the large Classical portico with the small classrooms in the extension so they could form part of the scale of the overall building. 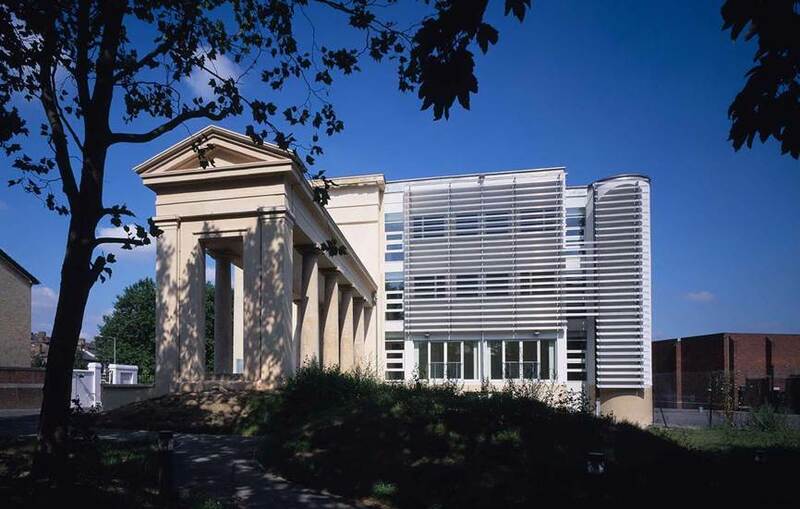 Thus the elevations were finished with aluminium sun louvres to mask the scale of the small windows. This building was London’s first Orphanage and to have it still cater for children’s education today seems very fitting. 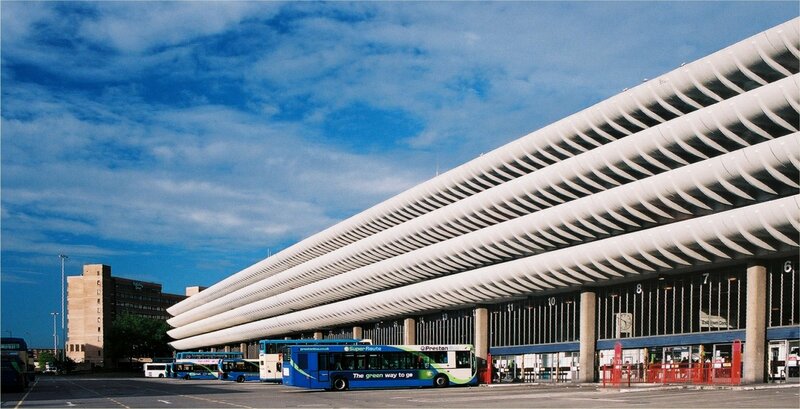 Other campaigns we have supported are the save the Brutalist ‘Preston Bus station’ which was listed last year and the ‘Ancoats Dispensary’ in Manchester under threat of demolition is to have new community use. Q. How are innovations transforming the ways that we integrate development with the historic environment? AB. What is most important is to have vision and the tools to carry that out. Good architects have the ability to see things holistically and take into account outside factors that could affect or enhance the project. Communication skills are one of the most important skills architects need; our living world is in 3D so people understand 3D and virtual models that they can walk around. BIM is a great tool for exactness and looking at the detail of any part of a building in seconds during the design stages, and at the management systems and services efficiency and running costs, long after the building has been handed over. This also enables us to visualise in more detail how the historic fabric integrates with the new. Q. Do you think that we will see more historic structures being reinvented and reused as land becomes an ever more precious commodity in our towns and cities? AB. There is only a finite amount of quality historic buildings and certain materials left in the world and we should seek to protect these supplies with responsible recycling and inventive reuse of current stock through legislation. There is no need to knock down a building just to rebuild a lesser quality building higher. Placemaking should preside over profit and haphazard skylines. Angela is an Archaeology Ambassador, a group of influential leaders and experts from the worlds of business, who promote the positive impact that archaeology and heritage have on developments and the wider community. Keep an eye on our business updates for more interviews with leading experts in the development, construction and heritage sectors.